Do you live in a rented property in Melbourne? Are you moving to a new place anytime soon? Moving to a new place is exciting and exhilarating. You might have packed your stuff, talked to the moving company and scheduled the moving date. But, wait! Hold on! Have you scheduled your end of lease cleaning? We understand that there are a lot of things that you need to consider while moving out of a rental property. From handling all the paperwork and making arrangements for your new house to packing up everything and finishing all the affairs at the old place. While completing all these important things, make sure that you have also considered handling end of lease cleaning in Melbourne too. Why Is End of Lease Cleaning in Melbourne So Important? We understand that living in a rented place is not something everyone desire. But it’s a matter of fact that not everyone can buy a home in each and every part of the world. You are left with no option, but hire a place for rent and that means depositing a good amount of money too. There is no place in Melbourne where you can get a place without a deposit. This is because the landlord wants to ensure that the tenants do not create a mess at his place or spoil the stuff. You do get your entire deposit back at the end of the lease provided that all the things of the property are properly taken care of until the last date arrives. Your security deposit is directly proportional to the way your place looks and the way you have maintained it. If you want your complete deposit back, ensure that all the things do look like day 1, when the landlord handed over the keys to you. Here are some tips for getting your 100% bond back. However, many people wait for the last moment to do the end of lease cleaning and if you are amongst them ensure that you do not miss the below-listed thing to get your 100% deposit back! By far, the kitchen is the place which will require the most cleaning effort. From cutting vegetables to preparing dishes, the immense amount of work that goes into the kitchen makes kitchen dirty on a regular basis. Depending on the use, grease buildup can be mild to severe. If you haven’t cleaned the stains on a regular basis, it may become hard to get rid of. You’ll also have to wipe down the appliances and wash the cupboards. It is highly recommended to call the end of lease cleaning professionals to help you with your kitchen cleaning task to ensure that your kitchen is sparkling clean like the day 1. The bathroom is another area that is used on a daily basis and requires the cleaning efforts same like of kitchen. Most of the people ignore the bathroom cleaning by leaving the soap scum, toilet stains and hard water marks to set in. Moreover, cleaning the tiles and grout is also a time-consuming task. To save yourself from all the daunting tasks, hire the professionals for the same. Ensure that everything is cleaned to the perfection. If any of these things have to be cleaned later on, the owner will deduct the amount from your deposit itself. Well, carpet is the first thing that grabs the attention of the visitors and your landlord is no different. It is important that your carpet is cleaned efficiently leaving no spot and stain behind. In case while opting for carpet cleaning in Melbourne, if the fabric is damaged or the stains are left behind, the owner can deduct the amount from your deposit. Thus, it is essential to know that when you clean the carpet, you must hire the professionals for carpet cleaning in Melbourne to meet the standard cleaning requirement. Ensure that the professionals you hire are not only affordable but also specialise in spot cleaning to ensure that your carpet is cleaned to the highest standard. If carpet grabs the first attention of the owner, upholstery is the place where he’ll sit in the first place. If he finds that the upholstery of the rented place is lacking cleanliness and maintenance, he’ll definitely deduct your deposit amount. Upholstery cleaning is highly recommended as you yourself are going to sit on it every day. Remember, you do not need to fix things that wear our due to age. Many damages can sometimes be due to deterioration over time. Getting it fixed doesn’t fall under your responsibility as a renter. Most of the people do not think that windows are an integral part of house cleaning and thus fail to pay much attention to window cleaning. However, window cleaning is significant as they create the aesthetic of the property. If you fail to maintain your windows, it will reflect that you do not conduct regular cleaning which might form a negative image in front of the owner. Ensure that your windows are cleaned nicely using proper technique and with the best cleaning solutions. Remember, better-cleaned windows means a step towards getting your deposit back. If you are planning to move soon, now is the time to look into the end of lease cleaning in Melbourne. Hire professional cleaners before attempting the DIY approach. It could make the whole lot of difference between losing your money and getting your entire rental money back so that you can spend it better on your move. Here’s our blog post about why you should consider hiring professional end of lease cleaners. Heating and cooling devices impact our lives profoundly! For households which have an air duct system, an important part of maintaining the household in top condition is air duct cleaning. Over time dust, dirt and mold may accumulate in an air duct system. This makes duct cleaning essential for households. For a city like Melbourne, there is an ever-growing need for duct cleaning services. Heating and cooling services are quite popular in the Australia! According to the Australian government heating and cooling accounts for about 40% of the energy use in the Australian homes. The most frequently used form of heating for the households in Australia in 2004 was gas heaters at 34%. This was followed by reverse cycle air conditioners at 26% and electric heaters at 18% of the households. Nearly 23% of the households did not use a heater. The three areas with a high number of heaters use were Victoria, Tasmania, and Australian Capital Territory. In these areas, nearly 100% of the households were using heaters. Ducted gas heaters accounted for nearly 16% of the heaters installed in homes. Air duct cleaning services are most useful for those households which need frequent duct cleaning. 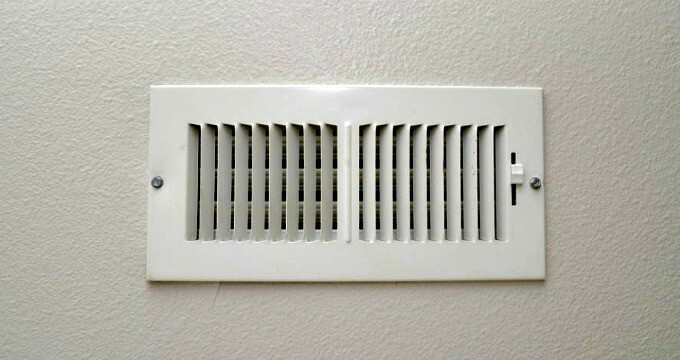 Duct heating vents also need to be cleaned during the air duct cleaning. Duct heating service is highly beneficial for improving the air quality at a property. When a new house is renovated or remodeled then debris and dirt can accumulate inside the air duct systems. This can cause damage to the life and property if debris is left inside the air duct system. Properties where a resident smokes require air duct cleaning more frequently than the other properties. Smoke creates an invisible exhaust which slowly can corrode the interior of ventilation systems. A thin layer of smoke will begin to collect inside the ventilation system and push harmful substances into the air. Properties where a pet is present need air duct cleaning at least once a year. Pets shed hair and skin which can get accumulated in the air duct systems causing damage to property. Hair can collect and get inside an air duct system and can spread from there all throughout the property premises. Properties which are new may contain dirt and dust present in the air duct systems. These properties must be cleaned before the residents of the property arrive for the first time a property. Sometimes dust, dirt, mold and pet hair can cause severe physical harm to residents of a property. This is especially true when the residents are susceptible to certain health problems like asthma and allergies. The air duct system during such times needs to be cleaned so that the residents face no health issues. The immune system of children is weaker as compared to the adults. Children who are susceptible to diseases may become ill over time due to bad quality air which they inhale. The air duct systems must be thoroughly cleaned at properties where children are present. For cleaning the duct heating vents or the entire system professional air duct cleaning service can be hired. Professional duct cleaning services are efficient and employ cleaning staff which is well aware of the air duct systems. These companies have years of experience working in the field of air duct cleaning. The duct cleaning services are very good for the environment. There is an additional benefit of investing in such services which is that they help in reducing carbon footprint. There is also a sharp reduction in energy bills. Once the duct cleaning is completed the residents can enjoy living in an environment which is conducive to health. When we care for our environment only then can we remain healthy and help our future generations to prosper. Due to these reasons, air duct cleaning services in Melbourne will continue to be popular in the future.